Born in Solebury Township in 1923, Malcolm Crooks has devoted his life to the protection of natural resources at the local, regional and national levels. Throughout his professional career, he focused on the conservation of soil and water, so crucial to the well-being of humankind and to the sustainability of agriculture. Agriculture remains a leading industry in the US as well as in Pennsylvania. Following several years in wildlife management in West Virginia, Malcolm became the first executive director of the Stonybrook/Millstone Watershed Association in New Jersey. In the 1960s he volunteered for two years with the American Friends Service Committee helping to improve the quality of life for people in Algeria. Upon returning home he was employed as Executive Secretary of the New Jersey State Conservation Commission. Following that, he was employed for over twenty years by the National Association of Conservation Districts, serving as Regional Representative for nearly half of the United States. Malcolm was the principal operator of his family’s Christmas tree farm for almost 40 years. He served on Solebury Township’s first Planning Commission from 1956-1963. He was a pioneer in land preservation in Pennsylvania, being the first landowner in Solebury Township to protect his 7O-acre family farm under the Heritage Conservancy preservation program. Malcolm helped establish the Honey Hollow Environmental Education Center on his farm, now operated by the Bucks County Audubon Society. 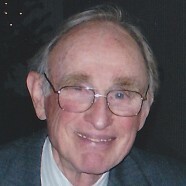 He served on the Society’s board of directors for many years, four of them as president. Upon his professional retirement in 1988, Malcolm began his volunteer career in earnest, still focused on natural resource conservation. He served for many years as a director of the Bucks County Conservation District, some of them as vice-chair. He helped establish the Aquetong Watershed Association and serves on its board. Malcolm has been a member of the Solebury Township Land Preservation Committee since 1996 and was instrumental in the establishment of the township’s award-winning Land Preservation Program, which has preserved over 3,000 acres in the township. In 2010 Solebury Township honored his efforts by naming a new bridge over the Delaware Canal at Canal Park in his honor. He has received numerous awards in recognition of his conservation efforts, including in 2011 being named Conservationist of the Year by the Daughters of the American Revolution. Click here for an oral history video interview of Malcolm Crooks.